TIME Magazine announced its shortlist for Person of the Year today. Fun fact: since TIME started Man of the Year in 1927 (they un-gendered the title in 1999, only 24 years after they dubbed “American Women” Man of the Year), only four individual women have won the title, two of them women of colour. FOUR. Which makes sense, because it’s not as though women do much, let alone “the most” to ever “influence the events of the year.” Who, us? We’re too busy making Pinterest boards and doing pilates to influence anything. Someone pass the top coat, please. The odds of TIME picking a woman this year are less than a third, because there are only three women on the ten-person shortlist: HHS Secretary Kathleen Sebelius, Supreme Court gay rights activist and newly-enshrined legal precedent Edie Windsor, and Miley Cyrus. 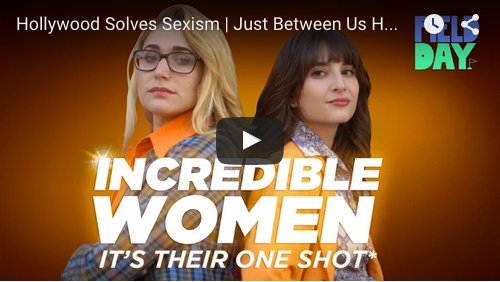 Add in the fact that they almost never pick a woman, and the chances are very slim indeed. Then again, they picked ALL AMERICAN WOMEN back in 1975, so we really don’t have the right to complain. A quick look at the most-searched for and most-read news stories just in the US suggests that Paula Deen, Jodi Arias, and The Duchess of Cambridge should also be on that list – I know, I know, stay with me. Yes, those are all white women, and yes, each of them is objectionable for multiple reasons, but the magazine says they want the people who have influenced the events of this year, and each of those women – “for better or worse,” in TIME’s words – fits that bill. Also, TIME is cool putting Bashar Assad on their shortlist, so in the twisted logic of rewarding people who do terrible things with a magazine cover and a title, those women are more than fair game. Four individual women in 86 years? I think TIME can do better. I know the readers of Feministing can do better. 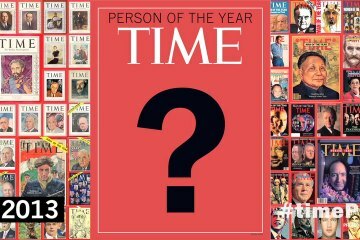 Who would you pick as 2013’s person or persons of the year?